What is depression: a biochemical disorder or a social construct or both? There is an argument that clinicians are medicalising normal human suffering in many of their patients. In his, book Beyond Depression, Chris Dowrick says '… our culture is imbued with an expectation of happiness, and that in consequence we tend to see negative emotional experiences as aberrant and deviant'.1 He proposes 'an approach to patients which emphasises listening and understanding rather than diagnosis and prescription.' Many GPs will be sympathetic to these views, but nevertheless have to respond to patients’ needs while wrestling with time pressure and limited access to non-drug therapies. The temptation is to follow the biomedical model of diagnosis and treatment. Depressive symptoms range on a continuum from everyday sadness to suicidal despair, and a challenge for practitioners is deciding at what level to intervene. A clinical definition of depression is therefore necessary to inform clinical decisions, enable research to be conducted, and justify insurance payments. The most widely accepted definition of depression comes from the 5th edition of the Diagnostic and Statistical Manual of Mental Disorders (DSM-5) published by the American Psychiatric Association. The DSM-5 outlines three degrees of severity (mild, moderate, and severe) based on a required number of symptoms and the degree of functional impairment. The presence or absence of psychotic features, such as hallucinations or paranoia, help determine specific treatments. The National Institute of Health and Care Excellence (NICE) recommends the use of depression symptom inventories to assess severity and to monitor improvement.2 Commonly used inventories include the patient health questionnaire 9 (PHQ-9) and the Hospital Anxiety and Depression Scale (HADS). While they are not considered diagnostic tools they have been validated against gold standard clinical interviews and can be very handy for use in a busy primary care clinic. Their main use is in giving a measure of severity and in monitoring the progress of treatment. Table 1 shows the ranges for each inventory. A recent study reported that about 10% of patients prescribed antidepressant medication actually have undetected bipolar disorder. The authors recommended 'When seeing patients with depression or anxiety disorder, particularly when they are young or not doing well, clinicians should review the life history for evidence of unrecognised bipolar disorder. '3 Therefore if the patient has had periods of inappropriately elevated mood, overactivity, or disinhibited behaviour which have lasted for 4 days or more, consider referral for a specialist mental health assessment. More complex situations require careful consideration. For instance, the literature states that personality traits such as ‘neuroticism’ increase the risk of depression when faced with stressful life events,4 and that it is common for people with a personality disorder to have coexisting depression,5 Practitioners will be aware of the challenges this can bring to the therapeutic relationship and the likelihood of a successful collaborative approach. However, there may be factors within the patient, the practitioner, the doctor–patient relationship, the health system, or other external circumstances which are compounding the issue, and it can be valuable to reflect on each of these components if the practitioner is willing. The diagnosis of 'personality disorder' can be a useful signal to take a more reflective approach and remember to focus on the main message without getting side-tracked, and to empathise and separate the person from the behaviour. An overemphasis on personality may not perhaps be helpful, especially if patients have not had trials of psychological or drug therapy for their longstanding depressive symptoms. An assessment of someone's personality while they are depressed may provide misleading information, and is something that should be re-evaluated after their depression has been treated. Therefore, steering away from labels and focusing on skilful communication to optimise the relationship may give the best chance of a successful outcome. Step 1 — Assessment and initial management; first visit. Step 2 — Persistent subthreshold depressive symptoms; mild-to-moderate depression. Step 3 — Persisting symptoms after step 2; interventions; moderate and severe depression. Step 4 — Severe and complex depression. Detecting depression at a single GP visit is difficult as 70–90% of patients with depression and anxiety present with symptoms of somatic illness.11 Psychosocial issues, which may be the main reason for the visit, are likely to be left until the last minute and mentioned as the patient is about to leave (hence the name ‘exit’ or ‘doorknob’ comment).12 The GP often has to make a split second decision on whether to explore the issues at that visit and run late or re-book for another time. There may only be enough time to ask the two questions NICE recommends for case finding, specifically: 'during the last month, have you often been bothered by feeling down, depressed, or hopeless?' And 'during the last month, have you often been bothered by having little interest or pleasure in doing things?' The sensitivity of these questions is high in primary care which means that if a patients answers 'no' to both questions they are highly unlikely to have a major depression.13 If the answer to either question is 'yes', further questioning is needed and the PHQ-9 is useful as it can give a level of depression which corresponds to a recommended treatment action (Box 1). Where time is short, an option is to give the PHQ-9 form to the patient to complete at home and book an appointment in the near future. This specific question has not been tested in clinical trials, but from our experience patients with high PHQ-9 scores at the first visit will invariably have lower ones at the next. This may be a combination of the therapeutic action of talking with the GP including normalisation, reframing, reassurance, and the offering of hope, as well as regression to the mean. Patients can have high and very high PHQ-9 scores and not have a major depression (Table 2) and the PHQ-9 should be considered as a measure of distress rather than a diagnostic tool per se. We concur with NICE that the choice of intervention will be influenced by the duration of the episode, the trajectory, and experience from previous courses of depression and response to treatment along with the patient’s treatment preferences and priorities. There are many other factors to consider, such as the skill level and interest of the GP in mental health, their ability to communicate about sensitive topics, the patient’s culture, and level of perceived stigma of different treatments, along with practicalities, such as time, financial stressors, transport, access to computers, and availability of non-drug resources. Table 2. Mismatch between PHQ-9 symptom questionnaire scores and psychiatric diagnoses. Are antidepressants effective for mild-to-moderate depression? NICE therefore suggests not using antidepressants routinely to treat persistent subthreshold depressive symptoms or mild depression because the risk–benefit ratio is poor. 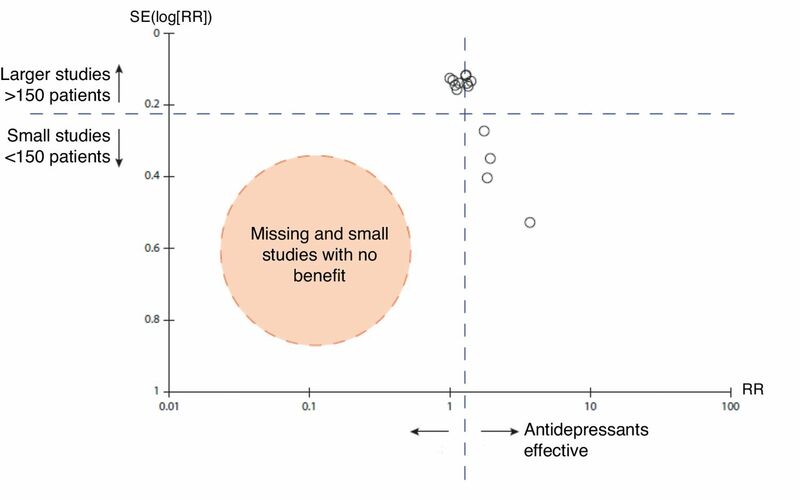 We would add that as the NNT for benefit is much greater than 1, most people do not benefit from antidepressants, and that improvements are more likely to be a placebo response rather than a medication response. For those in the mild-to-moderate range, who feel they have benefited from taking an antidepressant, are eight times more likely to have had a placebo response than a true medication response. Patients are likely to give medication the credit for getting better and may medicalise future episodes of low mood by requesting antidepressants. There is also the issue of having a withdrawal syndrome when trying to stop these medications which can in turn lead to long-term use of antidepressants. NICE advises avoiding drug treatment unless there is a past history of moderate or severe depression that persists after other interventions, or subthreshold symptoms that have been present for a long period typically at least 2 years. NICE recommends low intensity psychosocial interventions such as sleep hygiene, individualised self-help principles of CBT, computerised CBT with or without a facilitator, problem-solving therapy, behavioural activation, and physical activity (recommended in groups) for the initial management of mild-to-moderate depression or sub-threshold persisting symptoms. Hallgren et al write (based on their 2016 randomised controlled trial) that exercise is beneficial for depression even when it is light (yoga and stretching, for example) as opposed to moderate and vigorous and when conducted once per week.20 They also mention the cardiovascular and metabolic benefits for patients with depression. Referral to specialist mental health services is necessary for individuals who are at a significant risk of self-harm, have psychotic symptoms, require complex multiprofessional care, or where an expert opinion on treatment and management is needed. A systematic review examining 54 trials of relapse prevention for depression found conclusive evidence that the continuation of antidepressants was effective in preventing recurrent depression (odds ratio = 0.35; 95% confidence interval = 0.32 to 0.39).24 However, nearly all of the studies included were based in secondary care and are probably not representative of primary care patients. They also failed in a number of trials to distinguish between withdrawal symptoms, which are usually temporary, and true relapse. More research on the need for long-term antidepressants to prevent relapse is underway in primary care. Psychological therapies should usually be first choice for most patients with mild-to-moderate depression in primary care, and drug treatment should only be used for moderate-to-severe depression in the first instance, or for mild-to-moderate depression when active monitoring and other treatments have failed. (2009) Beyond depression: a new approach to understanding and management (Oxford University Press, Oxford). (2016) Depression in adults: recognition and management. https://www.nice.org.uk/guidance/cg90. accessed 18 May 2017 . (2016) Unrecognised bipolar disorder among UK primary care patients prescribed antidepressants: an observational study. 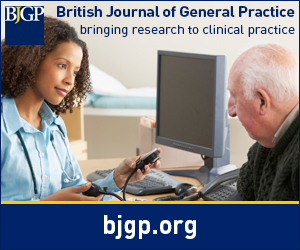 British Journal of General Practice 66(643):e71–e77, doi:10.3399/bjgp16X683437. (2000) Major depressive disorder. Neuron 28(2):335–341, doi:10.1016/S0896-6273(00)00112-4. (2001) Current and lifetime comorbidity of the DSM-IV anxiety and mood disorders in a large clinical sample. J Abnorm Psychol 110(4):585–599, doi:10.1037/0021-843X.110.4.585. (2012) Treatment of the depressed alcoholic patient. Curr Psychiatry Rep 14(6):610–618, doi:10.1007/s11920-012-0314-7. (2003) The nature and prevalence of psychological problems in New Zealand primary healthcare: a report on Mental Health and General Practice Investigation (MaGPIe). N Z Med J 116(1171):U379. (2003) Separation of anxiety and depressive disorders: blind alley in psychopharmacology and classification of disease. BMJ 327(7407):158–160, doi:10.1136/bmj.327.7407.158. (2016) Movement towards transdiagnostic psychotherapeutic practices for the affective disorders. Evidence-based Mental Health 19(3):e10–e12, doi:10.1136/eb-2015-102286. accessed 16 May 2017 . (2012) Brief interventions for radical change: principles and practice of focussed acceptance and commitment therapy (New Harbinger Publications, Oakland, CA). (1999) An international study of the relation between somatic symptoms and depression. N Engl J Med 341(18):1329–1335, doi:10.1056/NEJM199910283411801. (2016) McWhinney's textbook of family medicine (Oxford University Press, New York, NY), 4th edition. (2005) Effect of the addition of a 'help' question to two screening questions on specificity for diagnosis of depression in general practice: diagnostic validity study. BMJ 331(7521):884, doi:10.1136/bmj.38607.464537.7C. (2001) An insider's guide to depression. BMJ 323(7319):1011, doi:10.1136/bmj.323.7319.1011. (2000) Efficacy of nurse telehealth care and peer support in augmenting treatment of depression in primary care. Arch Fam Med 9(8):700–708, doi:10.1001/archfami.9.8.700. (2010) Antidepressant drug effects and depression severity: a patient-level meta-analysis. JAMA 303(1):47–53, doi:10.1001/jama.2009.1943. (2002) The PHQ-9: a new depression diagnostic and severity measure. Psychiatric Annals 32(9):509–515, doi:10.3928/0048-5713-20020901-06. (2016) Antidepressants for treatment of depression in primary care: a systematic review and meta-analysis. J Prim Health Care 8(4):325–334. (2008) Initial severity and antidepressant benefits: a meta-analysis of data submitted to the Food and Drug Administration. PLoS Med 5(2):e45, doi:10.1371/journal.pmed.0050045. (2016) Exercise is medicine for depression: even when the 'pill' is small (letter) Neuropsychiatr Dis Treat 12:2715–2721. (2016) Non-pharmacological treatment of depression: a systematic review and evidence map. Evid Based Med 21(6):214–221, doi:10.1136/ebmed-2016-110522. (2013) Cognitive behavioural therapy as an adjunct to pharmacotherapy for primary care based patients with treatment resistant depression: results of the CoBalT randomised controlled trial. Lancet 381(9864):375–384, doi:10.1016/S0140-6736(12)61552-9. (2009) Comparative efficacy and acceptability of 12 new-generation antidepressants: a multiple-treatments meta-analysis. Lancet 373(9665):746–758, doi:10.1016/S0140-6736(09)60046-5. (2010) Meta-analysis of relapse prevention antidepressant trials in depressive disorders. Aust N Z J Psychiatry 44(8):697–705, doi:10.3109/00048671003705441. (2015) Effectiveness and cost-effectiveness of mindfulness-based cognitive therapy compared with maintenance antidepressant treatment in the prevention of depressive relapse or recurrence (PREVENT): a randomised controlled trial. Lancet 386(9988):63–73, doi:10.1016/S0140-6736(14)62222-4.